2019 Rates: $99-$199 off season; $169-$329 peak season. 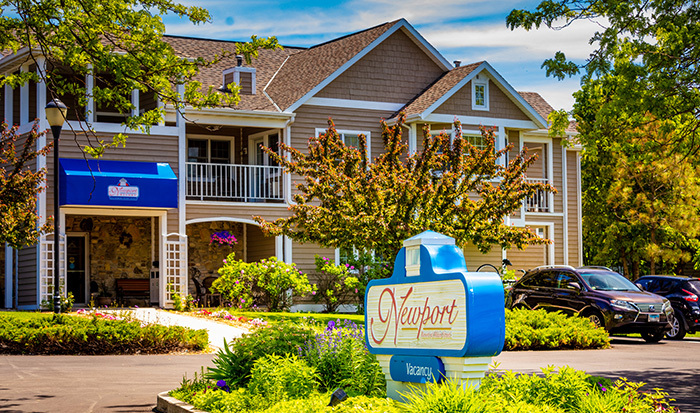 Newport Resort is located in the charming harbor village of Egg Harbor, Wisconsin which is one of Door County's most popular destinations. 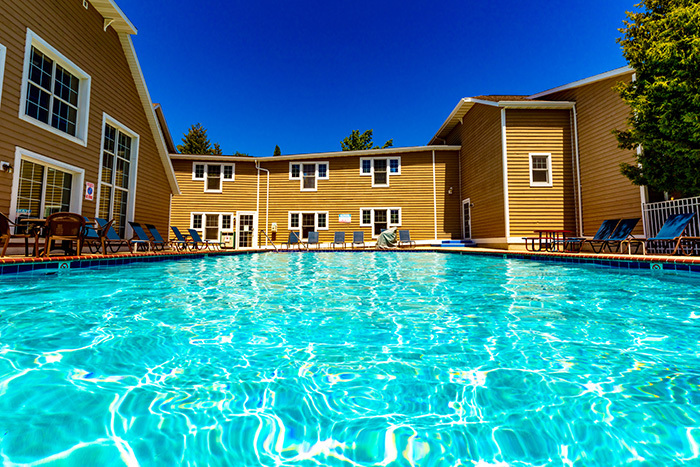 Newport Resort is a whole new experience in Door County Resorts offering four season of fun! 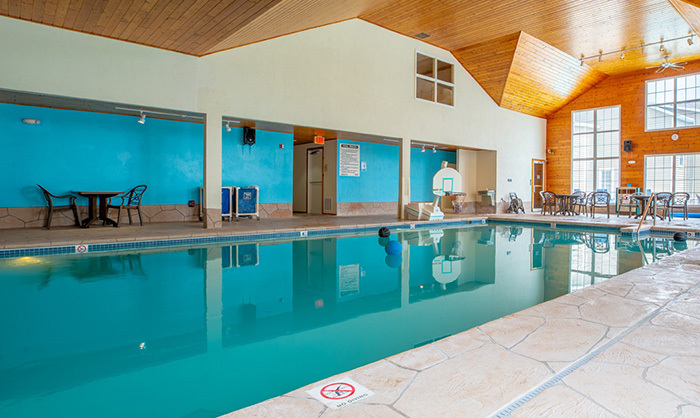 The resort offers indoor and outdoor pools, indoor and outdoor children'e playgrounds, fitness center, a picnic and grilling area with a covered gazebo. We also offer a complimentary continental breakfast to all of our guests. Our luxury suites are the best in Egg Harbor! Each suite is beautifully decorated in a french country decor and provides all the conveniences you would expect to find at home. 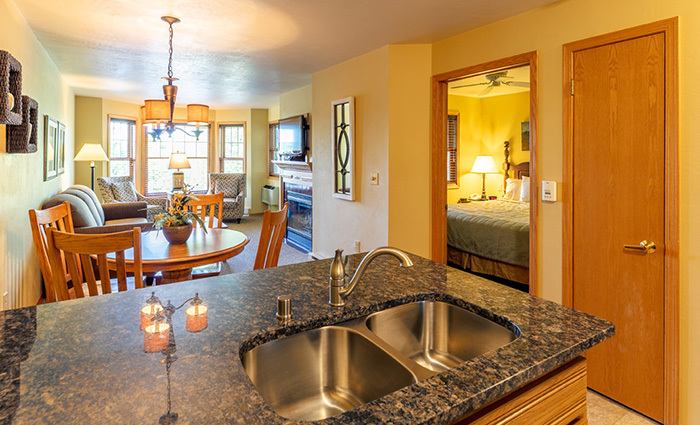 Each suite comes with a living and dining area with a gas fireplace, a fully equipped full size kitchen, an in bedroom double whirlpool bath, a seperate bedroom with a king size bed in the master bedroom, and a private covered patio or balcony. All in a smoke and pet free environment. Newport also offers group and meeting facilities accomodating groups up to 50 people. 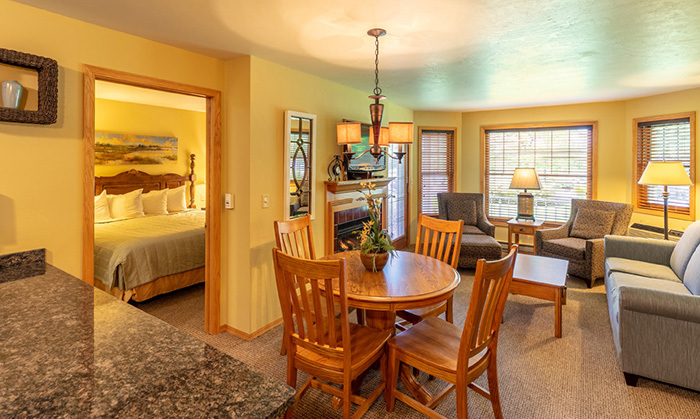 The perfect retreat for a family reunion, church or tour group, or business meeting. Full catering services are available. Whaterver the occasion; a quiet getaway weekend for two, a family adventure, family reunion or business conference....Newport Resort is the perfect Door County destination! We look forward to having you here!